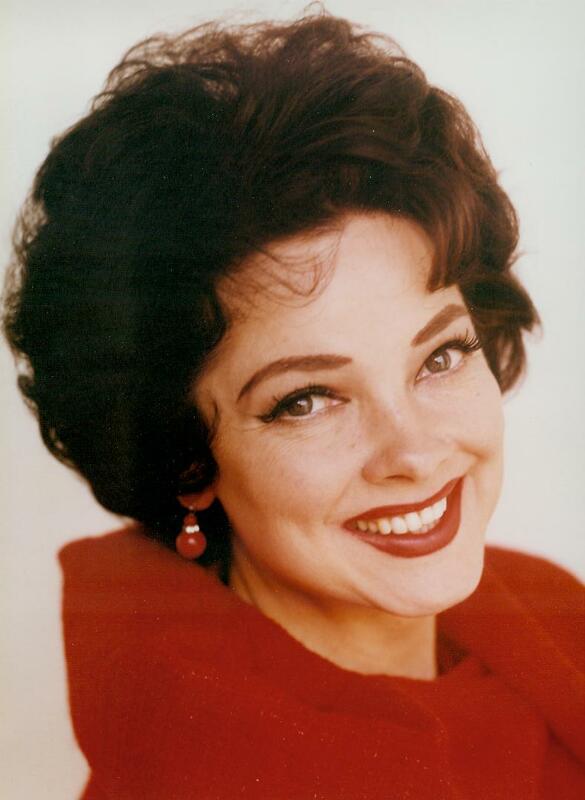 Kathryn Grayson was born in Winston-Salem, North Carolina on February 9, 1922. Her childhood was spent in St. Louis where she studied voice before training with Frances Marshall of the Chicago Civic Opera and later was signed by RCA Red Seal records at the age of 15. Her opera career was nipped in the bud when she was seen and heard by Louis B. Mayer and was signed by MGM to a contract without even the formality of a screen test. Contrary to popular belief, Miss Grayson never appeared on Eddie Cantor's radio show. Her unusual combination of looks, singing voice and acting talent brought her official stardom in 1943. A major star at MGM Miss Grayson also made films at Warner Brothers and Paramount Studios. Dramatic roles on television came including "Playhouse 90" and "General Electric Theater." Miss Grayson was nominated for an Emmy Award for best actress for GE Theater's "Shadow on the Heart." She made her opera debut in 1960 performing "Madame Butterfly," "La Traviata" and "La Boheme" and in 1983 starred in "Orpheus in the Underworld" for Opera New England. Miss Grayson scored triumphs in such stage musicals as "The Merry Widow" for which she was nominated for the Sarah Siddons Award. She has toured in "Naughty Marietta," "Rosalinda," "Show Boat," "Kiss Me Kate" and "Camelot" and in 1983 a departure as Miss Tweed in "Something's Afoot." In 1982 Miss Grayson received rave reviews for her first all dramatic stage performance in Lucille Fletcher's "Night Watch." In 1987, again in a departure, she starred in the much-acclaimed British farce "Noises Off." From 1988 through 1997 Miss Grayson toured in her one woman show, "An Evening With Kathryn Grayson." In 1996 and 1997 Miss Grayson appeared with Van Johnson in "Love Letters" with great success. This prompted them to tour in their own production "Red Sox and Roses." Today Miss Grayson gives Master Classes and is privately teaching voice. This is her new and ongoing career.